I had the opportunity to visit Monteros today. I visited Leonel, My first convert, and his family the Famila sanchez. And Jose, the first person that I baptized. They are doing great and I really missed them. The Familia Sanchez knew I was coming but it was a surprise for Jose. I showed up and he looked at me like he saw a ghost. He started crying and ran at me and almost tackled me the way he hugged me and hugged for like a solid minute. I almost cried. I have heard that he has been really firm in the gospel. He has the Priesthood and is doing very well. I am so happy for him. His mom said that ´´if I I try to ground him from the playing futbol or friends he doesn´t care, but if I try to ground him from church he will ball his eyes out´´ He loves church that much. I am so proud of him, his mom is getting close to be baptized. He talks all the time about how he wants to serve a mission in the future. This is what missionary work is about. Changing the lives of others. Helping others to become closer to the teachings and way of Jesus Christ. 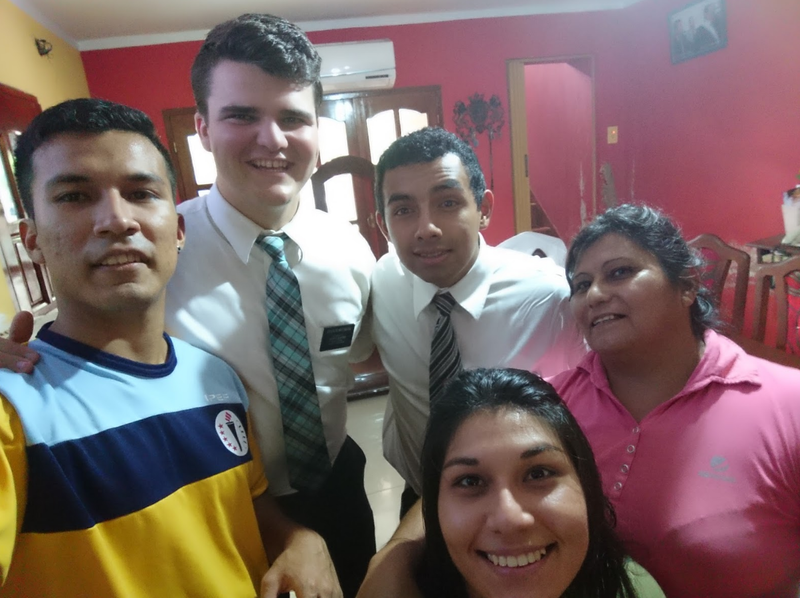 I love the experiences of this mission, I know I am changing the lives of others with my testimony, but also I know I AM changing in the mission also. I testify that God is alive and among us and when we come closer to him he will bless his in ways especially in our needs and desires.